If you are joining me here today from Proverbs 31 Ministries’ Encouragement for Today, Seeing with My Heart, welcome! Let’s continue to connect, ok? It’s easy! Just sign up to get my posts automatically by clicking here. 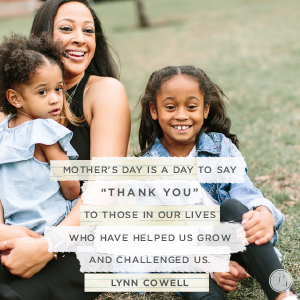 While Mother’s Day is just around the corner, all of us have had in our lives women in every season who have taught us and impacted the women we have become. While we are drawn to those who encourage us and cause us to feel loved, I have found in the season I am in now that I need strong women who are unafraid to spur me forward. Strong, yet humble, I need women who will show me with their lives what it means to partner with the Holy Spirit to reach my fullest potential. To face my fears, build my confidence on His power in me and know that God is even there. We need women in our lives who are unafraid to be iron sharpening as Proverbs 27:17 says. Sometimes the Bible uses imagery that doesn’t fit our lives today like it did in Old Testament times, so it can be a bit hard to understand how it applies to our 2017 lives. Maybe you have watched a cook in a kitchen, honing her knife, across a sharpening stick. Pulling her tool back and forth across the hard, rough surface at just the right angle, she gets her knife ready to do its wonderful work ahead. Maybe she is uses two knives, back and forth against each other, to do the necessary sharpening. There is mutual benefit in the rubbing of two iron blades together; the edges become sharper, making the knives more efficient in their task. God calls us, as women, to provide this mutual benefit, this mutual sharpening for each other. He has designed our relationships to make us better together. Will we allow that type of sharpening from another? Will we be the sharpener for another? Take a moment to review your life. Do you have another spurring you on, pushing you out of your level of comfort, to go for God’s very best for you? Are you spurring another on, providing the push they need to keep moving forward? One place for this spurring to take place can be in the mother/daughter relationship. As I shared in my devotion today with Proverbs 31 Ministries, this is the relationship I am currently experiencing with my girls. Yes, at one time, it was one way. I was encouraging them to become the women God has called them today. But today, as they have grown into adults, they push me just as well. Today, I am giving away to one winner several resources to encourage these mother/daughter relationships. 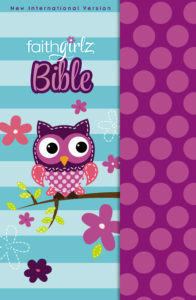 Zondervan’s FaithGirlz is a division of Zondervan just for tween girls, creating resources for women to invest in the lives of young girls ages 8 – 12 years old. I am so excited to be partnering with them this summer for theh release my first tween book, Brave Beauty. 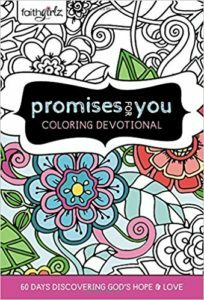 as well as the Promises for You devotional coloring book, a great way to relax and spend time together! 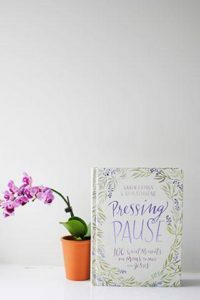 For moms, I am giving away a copy of Pressing Pause: 100 Quiet Moments for Moms to Meet with Jesus. To enter to win, simply share in the comments on this site one person in your life who has sharpened you. (If you are receiving this by email, please click here to comment.) If you are in a hurry, simply share, “I’m in!” I will announce one blessed winner next week! This give away has ended. The winner is Stacy Cave. Congratulations Stacy! Please send me your full name and address and we’ll get your prizes shipped right to you! « Want to Build Relationships that Last a Lifetime? JOIN US! Bev was an older lady at my church who led a young couples married class at my church with her husband Jim. They challenged us to make sure we were in the Bible every day seeking God. That was about 25 years ago and is by far the best encouragement and wisdom anyone has ever given me. Besides my mother, I have a spiritual mentor who sharpens me to become a woman of faith. By her example, I am learning to trust GOD unconditionally. I have a friend/mentor who I connect with regularly to share and pray and seek what God has for us both, encouraging each other to be bold and stouthearted in taking steps for His glory. She is such a blessing to me. It’s hard to name just one….my mom has taught me to be a strong woman, Donna & Susan help me be a strong woman in Christ. Thank you for the opportunity to win a copy of your book. A lady from church felt led to encourage me one day. From that God has formed a relationship that honors Him. Mrs. Wanda has shared much Godly wisdom in the last year. She has helped me to believe in what God has called me to do. From her encouragement, I have gained confidence in Christ. I would say my mom’s friend Pam, who I call Aunt Pam. During my undergraduate years, she was a mentor to me. As a former nun-and then a mother and PhD professor, she challenged me to keep my faith alive during my college years. She’s continued to grow in pour into me God’s love and she’s definitely sharpened me and my faith. Besides my mom, there have been many women who have been a part of who I have become. Thankful for each of them. I’m in! Thank you for this wonderful giveaway! Definitely my Mom, but also Christian women in church and at work, have all spurred me on. Margie Seifert disciples me and helped me become the Christian woman I am today. The older ladies in my neighborhood when I was growing up, my mom and women from my community who seemed to know just when I needed someone to reach out. I think that my mom has been the greatest influence in my life, she taught me to believe in the Lord, not by words, but by her actions, I miss her terribly, but I know that one day I will be able to see her again when I get to heaven, it’s hard to say that it was just “my” mom, as I had more than just her to show me the way, my best friend’s mom was also a mom to me, she was there for me when my mom passed away. I just thank the Lord for all those who have been there for me in times of trouble and times of peace. I’m so blessed to have so many women in my life who have made a difference to me. My mom and my grandmothers taught me how to serve others. I still have my mom and one grandma still living today (96 years old!). Then I have a special aunt, mother-in-law, sister, and countless other women who I have gleaned from. I am a mom to 5 sons, 2 of whom are married now. So I am also blessed to have 2 daughters-in-love and 1 granddaughter. I want to make a difference in their lives. Their are women who are childless yet have impacted the lives of so many others. So I thank all of them for helping to teach and love me. My friend Janet is always pushing me to go a little further, study a little more, and pray a little harder. She is always an encourager and always helps me to see the good. I am blessed to have her. My grandmother was a great influence in my life. She was such a godly woman and I miss her terribly! Besides my mother, my previous supervisor, Ruby, has had a major impact on my life. She was a mother away from home. You could tell she was a strong believer in her work life and personal life. That taught me to be the same person regardless of my surroundings. People, especially non-believers, should see me consistently being a child of God. Lastly, I recently interviewed for a job with a VP. Our interview session turned into a teaching session for me. She talked about how her faith progressed her through her career. She had no plans on being a VP. That taught me to submit to God’s will in everything. Enjoyed your devotion this morning! My mother, while never being an emotionally nor spiritually nurturing person, was an excellent provider as a single mom of four children in a foreign country. She worked two jobs to make ends meet because of having a mentally ill husband. She is now 86 and in the grips of dementia. No matter what, I love her and appreciate the sacrifices she made for me. Now that I’m a mother, I appreciate those sacrifices even more. It would have to be my sweet mom. Always the encourager! My grandmothers were, and still are, big influences on my faith. I think the one person in my life would have to be my mom. She worked full time, cared for my dad who was in poor health, made dinner every night and was a loving mother to my sister and me. She is the sweetest, kindest person. I love her!! God has given me mentors. I have been blessed with those that have walked with me. Especially, the fact that my Mom has dementia. Would love to “connect” with my Mom jsut one more time. It has been over 3 years since we did connect. Thank you for recognizing the job of Mom’s. I still don’t know how my mother did it with 10 kids in 15 years. The grace of God and lots of prayer. I’m not a mom but I am a dad. My beautiful bride as been such a wonderful inspiration to me when it comes to loving people where they are. God has blessed me with a loving and iron clad woman. She teaches me all the time and doesn’t even though she may not realize what she is doing. Thank you, God, for my dear Grandma. At age 96 she is still growing in her walk with her heavenly Daddy, and she prays for her family by name (even if she doesn’t always recognize us). She also exudes a gentle spirit and a sweet disposition. God has given me a mentor, Ruth. She is an encouragement to me in every area of my life as a woman and a wonderful friend. She loves Jesus with her whole being and loves people deeply. She has picked me up from my lowest points in my life and shared in my joys in every way. My grandmother has taught me so much throughout my life. It is such a blessing to me to visit her to share stories & learn from her wisdom. My former mother-in-law was also a great spiritual mentor when I was young. So many Godly women that have touched my life…i think esp of a dear neighbor lady that shows unconditional love to all. So thankful for all the ladies who’ve been a part of my life and took time to love and teach me. In order for iron to sharpen iron there must be deep love. The only time I have truly felt that was with my mom. Quiet by nature I learned from this God fearing quiet women compassion and giving and not to gossip and to speak words that were necessary gentle and true. I order to receive from another one must be willing to get to know each other and grow meaningfully together. Satan today keeps women from each other with the busyness introduced in our lives. We cannot get to those needed places of love with others because friendships are skin deep.You cannot grow true love skin deep. It needs to burrow into our being. That’s the love that allows iron to sharpen iron. I’m once more reminded that the basis of truly living the way of God is love. My precious Granny, Lou Anna! She shaped my life in so many ways! Like you, I can’t just pin-point one person and I think it would be unfair to the rest who have contributed to my spiritual and personal character development over the years. But it is for sure my mom (although often I may not want to hear what she has to say, but often it is something I need to improve), and a number of my close friends who either lead by living a life of example in areas where I want to excel or whose feedback/thoughts I am always willing to take into consideration. My mother was such a great influence in my life. She was always there for me and showed the love of God to me both in words and actions. I miss her but know that she is rejoicing in heaven with my father, sister and two baby brothers and that I will be with them one day. I can’t wait to be with my loved ones some day too, Vonnie! My mother. She’s always been there with the right word, right scriptures…my mother. My mother has always been a beacon and refuge while teaching me about faith and our wonderful Heavenly Father. She has loved me through good times and bad and continually challenges me to love deeper everyone God places in my life. Without her strength and love and guidance, I wouldn’t be half the woman I’m still trying to become. God bless her and all those strong women who have taught me so much! My mom and my sister have been such a blessing in my life! They are always willing to listen and share their wisdom and prayers! My mom especially has given me the gift of what a Godly woman looks like and I look to her example as I raise my two girls! During the time that I was growing up I was loved and mentored by the wife of the pastor. She was such a kind and loving person. She gave instruction without harshness and took adversity without bitterness. I have learned to be wise with my words from the many things she did and did not say. I have learned to watch my actions because those that may not know me are still looking at me to be an example of Godliness. She is at home with Jesus and has been for many years, but my love for her grows as I navigate all of the challenges that life brings. What an incredible blessing to have such a wise woman invest in you, Michelle! You are so right, Beverly! To truly be mentored, we have to have a teachable heart! My friend Tammy encourages me and pushes me out of my comfort zone and thus has strengthened my faith. So many wonderful women have been a part of molding me into who I am today. Bevery, Gerri, Sandy, Cathy…all Sunday School teachers from my teenage years. My mother and my daughters have shaped me into the woman I’m becoming. They inspire and encourage me. I love learning and growing with them. Carmen Trichelle – Although she is unaware of what as aspiration she is to me. My grandmother – who raised my and I would not be here without. I have known my best friend Liz since we were 4 years old and now we are in our thirties. She has always been an excellent example of Christ to me and I am so thankful for her faithful friendship after all these years!! My Grandma and I have a very special relationship and she has always pushed me to grow in God and develop as a strong woman and mother. Becky, Jenni, and Laura – many others as well. Thank you! A lady from my home church, Mr. Joyce Hunt. She always has words of wisdom and prayed for all the teens at church.She lived a life that spoke for God, no question about her life. This in turn lead several of us to follow Christ. She was and still continues to be an inspiration…..
My Grandma Ruth- such an inspiration to me! I have many who have impacted my life, but my mother, and sister were special. They were my friends as well as relatives. They modeled life for me. One other I will never forget is Shirley, she showed me how to be a Christian mother in the fullest sense of the world. I have been blessed with many strong women in my life – not just spiritually but physically and emotionally as well. My grandma raised 4 children under 6 after losing her husband to cancer. Then my mom raised my sister, who has special needs, and I on her own. Both of them taught me how to be independent and find my identity in Christ. Now that I am a mother, I am surrounded by so many wonderful Christian women who have helped build me up, carry me, and support me through many walks of life. I have had the blessing of being sharpened by a few different women, my mother in law being the one who comes to mind first. She’s a strong woman of God with love in her heart and a gentle encouraging word and some comforting prayer whenever anyone needs it. I’ve been so very blessed to have a mother in law who I genuinely love to be around! Thank you Heavenly Father for her! My mom was a very strong woman in my life but she died 20 years ago. God brought a woman into my life that has become my mentor, prayer warrior and spiritual Mother. I am so blessed to have her in my life! My friend Becky, is an example of courage and strength to me. She has a disabled son who was in a motorcycle accident several years ago, and her strength and fortitude are a great example to me, who doesn’t have that to deal with. I respect her deeply! My mother was my greatest inspiration. A true Proverbs 31 woman of God. My “Other Mom” who si a neighbor that has taught me many things my real Mom did not. She has filled the ‘gaps’ for me and I pray that God will also fill the gaps in my parenting with my own children – by putting the right people and situations in their lives !! Thanks for the opprotunity for this book! I will give it as a gift to a special someone that needs it! My mom is a very strong woman in my life and has taught me much about faith and perseverance. And my friend Julie makes me strive to be a more Godly woman and mom. My sister in law is an amazing Goldly woman, she was a missionary in Africa for 20 years. Now I have the privilege of living down the street from her. She is gives me wisely advice, teaches me, and gives me new perspective all the time. She is such a blessing in my life and I thank God for her often! When I was a first year school teacher in an Indian settlement, the missionary couple up there was “iron sharpening iron” in my life. There has been so many people in my life that have spoke truth, love, conviction…etc into my life but a special one is Karey, God put her and her husband in my life at a vital time of my life , a time when there needed change,I needed a Godly , solid example to show me how to Live life and not let life just happen….. and she was there day and night being an example to me , in more ways than she knows, in Her actions mostly, showing me how to be a God fearing wife, a nurturing mother and how to have a balanced life of ministry… She is an amazing women and I will always cherish her!!!! My mother and grandmother made a huge impact on my life and I miss them very much. Their wisdom and wonderful example still guides me today as I interact with my grandchildren. Mama Ha…that’s what I called my paternal grandmother. Mama Ha definitely sharpened me to help me be the person I am today. She loved with a fierceness you can’t possibly imagine. She was the daughter of an old-time Baptist preacher, who grew up loving and serving the Lord. She showed me what it was like to be the “hands and feet” of Jesus. She quietly served God through her love of people, inviting even strangers into her home to share a meal or whatever they may need. It didn’t matter if you were a close family friend or if you were a complete stranger whose car happened to break down near her home. Everyone was always welcome. Her and my grandfather (Daddy Ralph), served God through their music too. They just quietly loved and served The Lord their whole lives. I’ve heard Mama Ha pray for me and I’m sure there were many prayers lifted up on my behalf that I never got to hear. She taught us to read and study on God’s word….and that sometimes what God was asking you to do wouldn’t be easy but it was definitely always worth it. She taught us that when we sin… not if, but when, because we all sin and fall short…that Jesus stands waiting with open arms to welcome us back home…that we can never screw up so bad that God won’t forgive us. I could go on for hours but I know you get the picture. I long for the day I get to walk the streets of gold with her because life on this earth without her will never be the same. I am blessed to say my biological mother has been the greatest inspiration to my faith. I thank God for her everyt day. One woman who has been very encouraging to me is my great Aunt Genevieve – who passed away a few months ago. She was a lover of Jesus and a sweet, sweet soul with a twinkling smile and genuine kindness for others. I don’t know anyone who wasn’t impacted by her sweet character and kind words. She is rejoicing today with her Savior! My mom and my mom-in-law are both great examples and God has used them to sharpen my blade. So thankful for a godly legacy! My mom has had a positive influence on my life. She has taught me to be kind, generous and balanced. She has encouraged me to reach for my goals and to be wise through the process. She has shown me the importance of prayer and showing respect to God and others. Because of my upbringing, I’m grateful to be able to share these qualities with my own children. My Mother’s are gone. My closest and dearest to my heart is my Sister in the Lord, Denise. We have been together from our worldly days, prior being Born-Again to our new lives in Christ. Jesus drew Denise to Himself and shortly thereafter, due to her changed life, Jesus drew me. We have been together through thick and thin. Both mourning and rejoicing with one another through this life. The Lord drew me and my small family far away to another state, yet we have not lost that close relationship. Thousands of miles apart, yet we are as close as though we were right next door. My precious sister is suffering heart-wrenching difficulties as of late. I have been searching for a way to bless her this Mother’s Day, I will keep searching even if she is chosen. Thank you for caring about the Godly women in our lives. Even writing this reminds me of the rich blessings we have in Christ making me so thankful to God for Denise. Thank you so much for sharing, Carol! I am glad we can all share the good God has brought us through other women here! My friend Katie is my sharpener. She keeps me “right with God and ready to receive his plans for me.” We both have daughters and it is a blessing to have someone who positively influences you. There are so many negative pressures in the world I love having a friend like her to go to. My dearest friend Judy is the one who sharpens me. She is a woman of God through and through. or get me to see another side of things. My friend Kathy is the wisest woman I know. She has a wisdom that never runs try because it is continually being built by the Holy Spirit. She keeps her “antennas” up to hear from God in everyday moments. When I was a young teenager, there was an older, middle aged woman, Donna, at my church that became a great friend. We became very close while on a two week mission trip that I went on when I was 14 with my mother & a small group of other men & woman from my church. She was always guiding & encouraging me. Loving me, truly, despite my faults & times of bad judgement & bad decisions. Even after losing her battle with cancer she is still pushing me on. Her memory & the memory of her words, actions, & our time together is & will be everlasting. It is clear now that this strong woman was placed into my life by nothing or no one other than God Himself, and I thank Him for that special gift. I didn’t have a mom, but my three daughters inspire me to be a godly woman, in word and action. They teach me so much. I’m so thankful for God allowing me to be their mother. My mother in law has been such an influential woman in my life; teaching me incredible lessons in being a woman of God, wife, mother, daughter, and friend. She has spurred me on by encouraging, challenging, and actively helping me. I am SO blessed by her. One of my good friend’s mom sharpened me. I got to see her when I was at my friend’s house. She really encouraged me simply by being there as I hung out at her house. She also was the adult leader for my senior year of youth group where I got to be the student leader and met with her weekly to review the lesson. My life has been sharpened by so many women, including my mom, my boss, my therapist, fellow Bible study women, my church mentor, etc. God blessed me richly with the women He placed in my life and I hope to do/be doing the same. Oh, I am soooo thankful to have had my mom and her 3 sisters who have been examples of lives well lived for Christ…none of whom have had easy lives but who ALL remained faithful against the odds. THANK YOU LORD for my Momma, and my Aunt Ann, Aunt Wanda, and Aunt Vivian! I can’t say I’ve had the privilege of having a mentor as such, but I have some friends who I know pray for me and have been there for me at especially difficult times. God has blessed me with those friends and I’m so grateful for them. My mom has always been the positive force keeping me focused on God even during a most traumatic event in my life. She is still always there for me. There are many women who have inspired and encouraged me to keep my faith and heart focused on what lies ahead and that our temporary troubles will be exchanged for eternal joy and peace. It’s amazing how simple everyday moments with those around you can be a silent but clear reminder that spurs us towards doing good deeds for others and passing on the flame. I am so grateful for the blessing of all those wonderful women who have touched my life. Just today I had a “God appointment” with two friends about submitting to my husband. The conversation started with one friend and then my other friend came by the church we were at looking for her Bible that she left after a severe on Sunday and started talking about how God has blessed her marriage as she allowed Him to work in her husband’s life. I’m so blessed to have a God who cares about me so much to send these women to help me in my marriage. God is so incredible – just what we need when we need it! One of my Favorite Proverbs! ❤️ I’m in! Growing up with divorced parents, my Mom never went to Church-she belived, but didn’t want to go with out my step father. A woman named Phyllis put together a bus ministry-and that’s how I attended church from Middle School thru all of High school! My Grandma, Kathleen Hall, sharpened me by being an example of how to live a Godly life. My childhood did not include any faith direction, nor role models for parenthood. Blessed I am that God chose to give me my daughter, Andrea, who somehow (without my great example) grew into one phenomenal mother, wife, daughter, friend and through her she has taught me about forgiveness, compassion, and learning to love one’s self. My mistakes as a mother brought about my need to ask for her forgiveness (and my son’s) and both returned profound love to me. I am 72 years old and my “to do list” for my own spiritual growth is endless, but I have come to believe that it is ongoing for every moment of my life. God has blessed me by teaching me to reconcile relationships with family members, for actions that I deemed unforgiveable. Every where I turn, I recognize the presence and actions of My Lord and Heavenly Father. I now know that my daughter has been a powerful influence in my journey to God. Bonnie – your testimony is a gift to all of us. No matter what “quarter” we are in, God has something beautiful for us. Thank you so much for sharing today! My grandmother has sharpened me in so many ways. My best friend Ixia is the one who is always by my side and ministering to me and encouraging me in my walk with the Lord. She has truly been a blessing in my life. A very special woman in my life who has sharpened me is my mother. She has always been an inspiration to me through her selfless acts of kindness to her family and other people. She and my father have raised me and my siblings up on the teachings of the Lord. She constantly shines as a disciple for Christ. I admire her love for the Lord and how she is not afraid to share His word with anyone she meets. I enjoy hearing about the things that my mom reads from this blog. I always look forward to talking with her about the things that are written on this website. I have learned from my mom that when life gives you challenges there is nothing to fear because the Lord is near. I am so very thankful to have a confident, God fearing woman like my mother in my life. Both my late mum and mother-in-law were good wives and mothers and I have learnt much from them. The one advice that stands out for me is to never throw in the towel and make rash decisions but rather to take everything to the Father and He will guide me. No problem is too difficult for Him. There is no one in my life I have learned more from than my Aunt Sissy. She was truly a woman after God’s own heart. I am so thankful to have had her in my life. My late mother, late grandmothers, my mum’s elder sister, my dad’s sister and my eldest cousin. all very influential and supportive at various stages in my life, my mother having the most impact on me. I miss her very much even now. Its been almost four years since she went home to Heaven after losing physically to ovarian cancer but leaving a beautiful legacy of faith and example. I’m blessed to have my mom, who is the strongest, fiercest woman, who follows Christ and also my daughter, who through her difficulties in life, has brought me closer to God. This is a fantastic giveaway, thank you! Loved this message today because it really made me think about my relationship with my oldest daughter, Macaela Walters, who is now 21. We are totally in the same place as you….I learn so much from her and she inspires me every day! What a beautiful gift, Kristi! The blessed women at my old bible studies class at St. Mark before I moved. I miss them soooo much! I hope to have that relationship with my girls once they become adults. My Mom, my mother-in-law, a friend who stepped is as a Mom role after mine passed away (currently in her last days here on earth – my heart aches/breaks for her family and for myself), and a dear friend! My desire is to build into others and as trust grows, we sharpen one another! Thanks for the offer of ‘gifts’! I have a very special mentor/spiritual mother who continues to pour into me and prays over me. We spent many hours together, praying and studying God’s Word. Even though, she has moved away, we are still very close and talk, text, or email nearly every day. She continues to pray for me and encourages me in my faith journey! I lived far away from my mother when I was studying in college but I had an older lady at the church who mentored me in those years till I got married myself (something I would like to do for other young girls in our church community as well as with my own daughters) and now I have a few dear friends who help sharpen me in my walk, three whom I would like to mention specially: Catherine, Monica and Silvina, who continue to encourage me in my daily walk. May I do likewise not only for them but for my young daughters too. Thank you for sharing!! My mom,my grandma and a mentor friend, Liz Graham . All 3 of these women are in heaven. Their love , care, and concern was very real for me and others.I have followed in the footsteps of all these ladies by encouraging others in lots of ways including by smiling and spreading lots of cheer to others. My daughter, who is only eight, going on nine, has sharpened me tremendously. She has made me turn a sharp eye inward, and has really forced me to evaluate my beliefs and what it means to be a good person, and to do good in the world. I am continually challenged by the women around me in my life, but it is a different thing altogether to see oneself, and the world, through the eyes of a child, particularly your own. My mom is a prayer warrior. When I was growing up I watched her pray through church issues and how she helped turn negative times in our church around by praying and encouraging everyone to keep seeking God in the hard times. My mom is far away as we live in different countries and no matter how far she always encourage me through what ever I go through! Nancy has been my friend and mentor for nearly 19 years now. From single adulthood to marriage to parenting, she has spoken Truth into my life, been a constant source of encouragement and challenged me to grow into the woman God made me to be. God has kept us connected through the seasons of life and through several moves between us. She has been a living, walking examolebofnwhat it means to walk in-step with Christ and follow hard after Him. I am so grateful for her. More than any woman would be my mom! She is a Proverbs 31 woman. Even in the trials, she remains humble and faithful. Married to my Daddy, a now retired minister, for almost 50 years. She has been his primary caregiver for the last 4 years after failed knee joint replacement surgeries and Parkinson’s disease have left him bed-bound. She herself has lupus and osteoarthritis. She helps my sister and me however she can, often providing child care for my 4 children. I’m in…my daughter has been a great source of inspiration for me! A woman at church who has prayed me through the hardest time of my life. She has shown me what Jesus is like. Thank you Micki. The person who sharpened me was my Grandmother Velma. She was a powerful prayer warrior and reader of the Word. A great influence on my life. It’s hard to name just one woman. My grandmother, mom and numerous women who taught me about Jesus from the time I was a toddler to an adult. So thankful for their wisdom, knowledge and love of Christ. They were all wonderful Christian examples! !